Monday April 9th 2018 – Mobilisation of Drill Rig. Tuesday April 10th 2018 to Friday April 13th 2018 and Monday April 16th 2018 to Wednesday April 18th 2018. No works will take place over the week-end of Saturday/Sunday April 14th/15th 2018. Masters should exercise caution when navigating in this area i.e. 30 metres upstream of Athlone Lock and from the Docks (rear of Sean’s Bar) to the strand (Car Park). Montag 9. April 2018 – Mobilisierung des Bohrgerätes. Dienstag 10. April 2018 bis Freitag 13. April 2018 und Montag 16. April 2018 bis Mittwoch 18. April 2018. Am Wochenende vom Samstag/Sonntag 14./15. April 2018 finden keine Arbeiten statt. 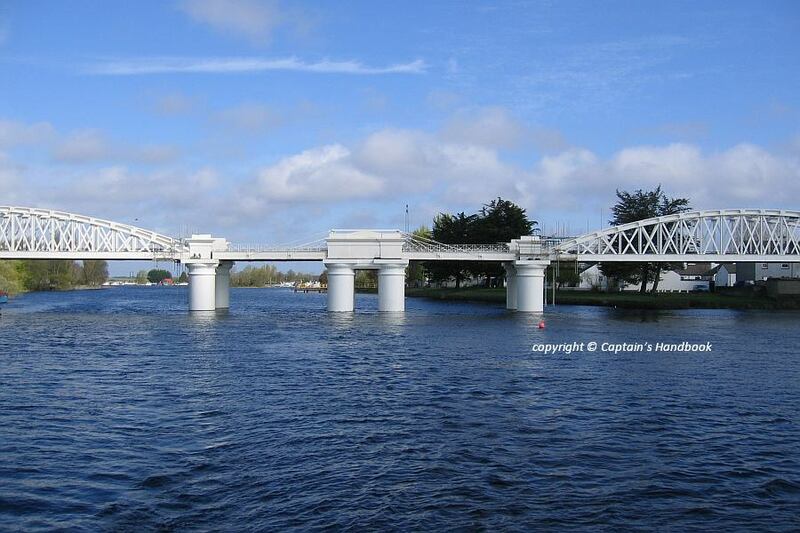 Meister sollten vorsichtig sein, wenn sie in diesem Bereich navigieren, d.h. 30 Meter stromaufwärts der Athlone Schleuse und von den Docks (hinter der Sean’s Bar) bis zum Strand (Parkplatz). Waterways Ireland wishes to advise masters and owners of vessels that consequent to a recent Health and Safety Audit a number of unsafe jetties, ancillary walkways, practices and services have been identified in the vicinity of the Railway Bridge on the West Bank of the River Shannon, (Watergate, Accommodation Road (R446)), on Waterways Ireland property. As a result of the Health and Safety Audit it has been decided to remove all un-safely moored vessels, dangerous access platforms, walkways, electrical cables and any other fittings deemed to be unsafe. Works will commence as operationally convenient after 20 December 2017. Removed items may be stored at owner’s expense in accordance with Shannon Navigation Bye-Laws.